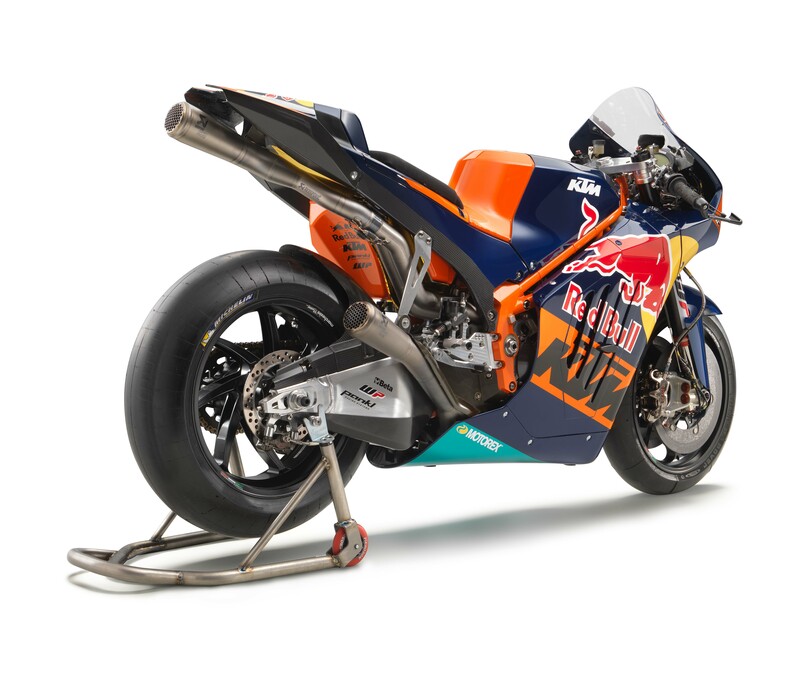 We knew from the outset of KTM’s MotoGP project with the RC16 race bike that the “Ready to Race” brand would also release the KTM RC16 as a track-only model for customers, which would cost six-figures in European currency. 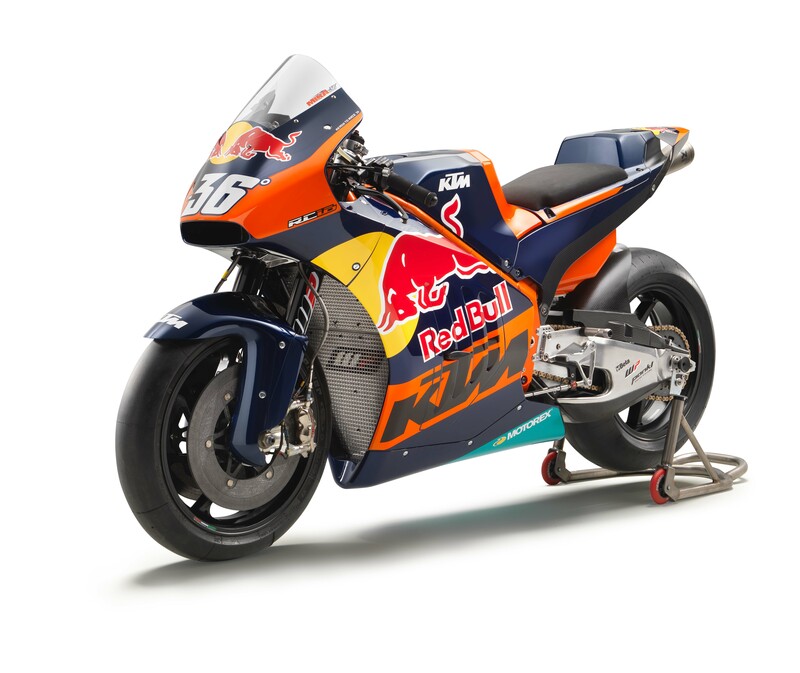 Talking to Germany’s Speedweek publication, KTM CEO Stefan Pierer has tipped some more information on the “consumer version” of the KTM RC16 race bike. 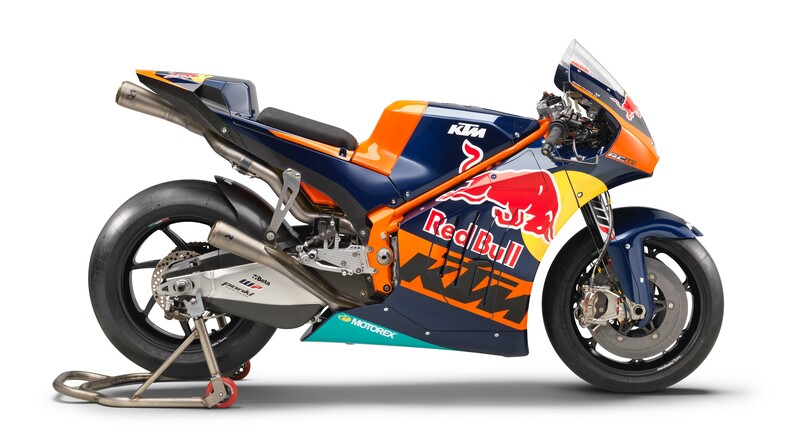 Good news too, as Pierer says that KTM hopes to make at least 100 units of the machine for consumers, and that KTM wants to keep the customer RC16 as close to the MotoGP bike as possible. Of course, the 270hp V4 power plant isn’t quite achievable in a customer platform, but KTM hints at a 240hp peak power figure from the 90° V4 “screamer” engine, which should do quite nicely. Even though this is an ultra-premium track-only motorcycle, price is a big concern for KTM. As such, when the KTM RC16 debuts for public consumption in 2018, it will be priced below the Honda RC213V-S.
Pierer says he would like to price the KTM RC16 somewhere between €100,000 and €120,000, in order to make the machine more “affordable” to enthusiasts. 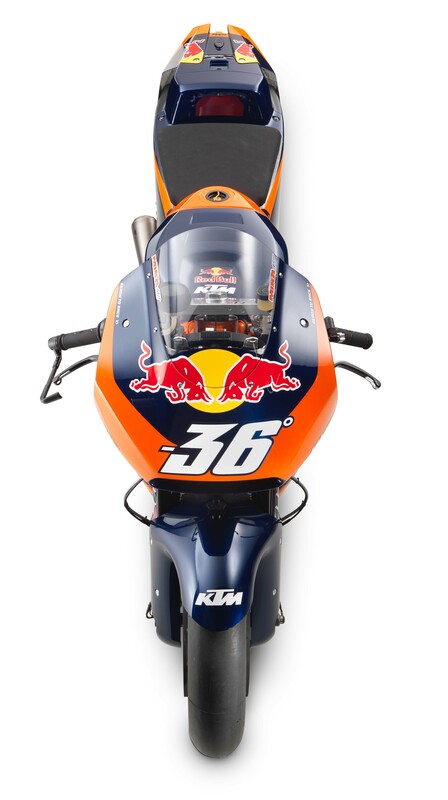 We are not quite sure that “affordable” is translating correctly to German in this instance, but it will certainly be intriguing to see what kind of machine KTM makes available to the public in a year’s time.